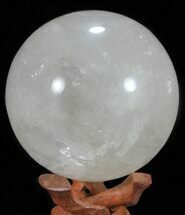 This is a 4.3" wide, polished quartz sphere from Madagascar. 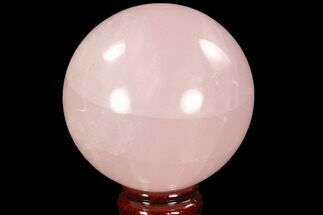 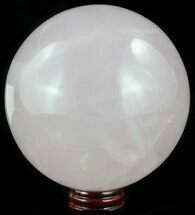 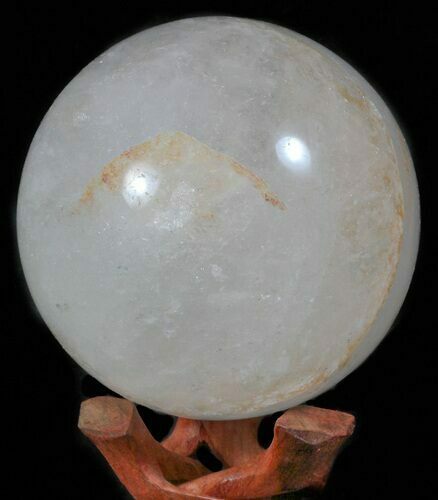 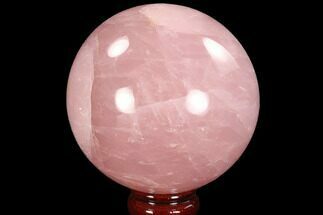 This sphere has been polished into a perfect round sphere from a larger chunk of quartz. 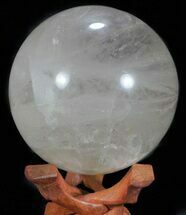 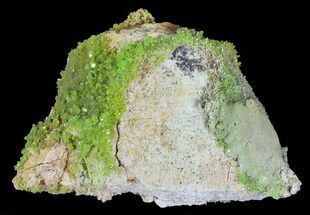 Iron oxidation can be seen throughout the sphere, indicated by the orange tint to some of the quartz. 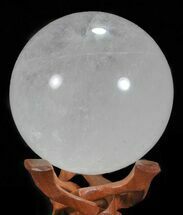 The specimen weighs 4.1 lbs and comes with pictured display stand.